Each year we ask parents to make a financial contribution to their child's education. This voluntary contribution is a valuable source of funding which assists the purchase of learning materials and school resources that may not otherwise be purchased. These resources assist us to maintain our strong commitment to providing an outstanding learning environment for your child/children. If you would like to make this voluntary contribution over several terms, or would like to make any contribution to our school, feel free to discuss this contribution with Sharlot Holmes our Business Manager. 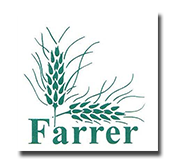 Farrer Primary School provides families with an opportunity to contribute to an excursion fund on an annual basis. The fund payment covers all class excursions, cultural visits and visiting artist performance throughout the year. The fund does not cover school camps, entry into competitions, swimming lessons or Woden/Weston and ACT district carnivals. Any outstanding funds will be refunded to families at the end of the year or carried over until the next year. The current contribution is $50 per year.